Nothing is more metal than metal. 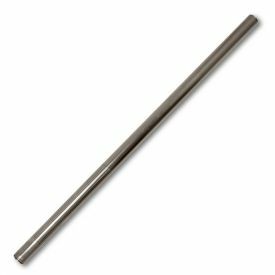 And, with a solid 14-gauge steel construction, our Steel Bo Staff is an extremely metal weapon. 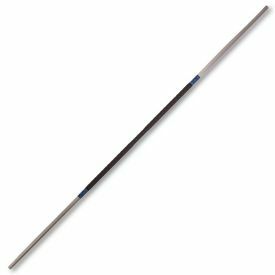 With dual grips etched into this heavy metal staff at the perfect positions, you can be sure that you'll have a solid hold as you swing and strike with force. You will tear through anyone and anything that you come up against. 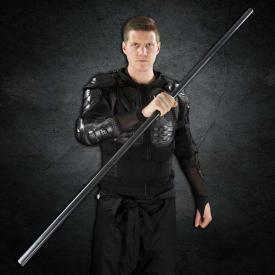 But the advantage of this metal bo staff with grip goes beyond the clobbering power you have when holding it. The extra weight gets you used to applying greater force so that you'll be moving with powerful speed and agility whenever you pick up a standard bo staff. You even have three options (4, 5, and 6 feet) to give you both power and versatility in your training. Practicing with the metallic training bo will make you a stronger, faster, and more effective fighter. Get one today, only at KarateMart.com! 14 gauge strong steel! It'll be tough to damage this bad boy! 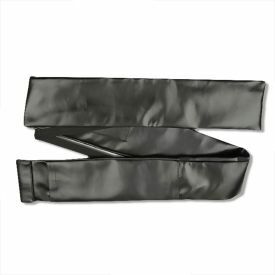 Perfect for building up your speed in preparation for competition! "I just have to say thank you dish is the best website to buy equipment"
"Heavy, tough, and battle ready. 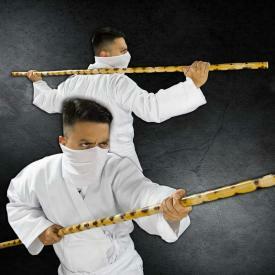 Excellent for a practice staff to make my waxwood staff blinding fast. Cx thanks again, Karatemart. " 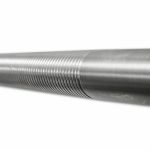 "This beautiful steel staff, came in the mail only after twodays of placing the order.It is the perfect training staff I needed to advance my skills with the bo. Thankyou karate mart, I will be ordering from you in the future." "I just bought this 4 foot steel staff along with the aluminum staff. The steel staff has a really good weight to it. Weight wise, the 4 feet of steel compares to my 6 ft red oak staff (also bought from karate mart). I was highly satisfied with the steel and everything about it. I forgot one very important detail though. Compared to aluminum.. I forgot to clean off the finger prints and have already noticed small amounts of oxidation. I have knife polish that should make my steel staff new again. However.. with that in mind. I think I became a much bigger fan of my 4 ft aluminum jo staff." "Excellent quality! The staff is light enough to weild, yet just heavy enough to be a tough workout! Highly recommend! " 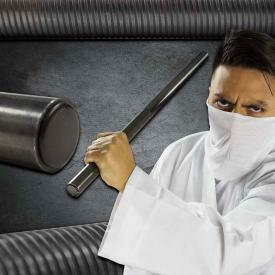 "I just received my 6 foot steel bo staff and I have to say that it is a beautiful weapon, I love the machined grips that will prevent it from flying from your hands when practicing your kata. It is very strong and heavy but at the same time balanced (it is not so heavy that you could bearly wield it like a heavy iron bar). It is lightweight enough to serve as a weapon and the quality of the steel speaks for itself. 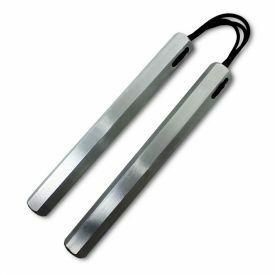 A beautiful addition for any martial arts weapons collection but at the same time very functional too." 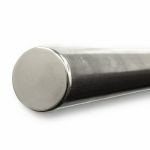 "Exactly what you would expect of a solid steel staff: unbreakable, heavy, and fantastic for strength training. It will work your core, arms, back, and shoulders all at once and makes switching back to a normal wooden bo feel as light as a stick. 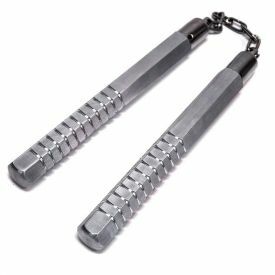 The machined grip is a nice addition as well and I would recommend to anyone wanting to add some strength training to your routine. " "Love this staff! I got the 6 ft. and it is heavy. Excellent for strength training. I'm now much faster with my wooden staff after practicing with this. The grips are great. They really help giving you a sense of the center of the staff during spins. I highly recommend this staff"
"Been looking for a metal bo staff for a long time. The grip feels really nice and its strong enough that I just tore a hole in my punching bag. Note to others...don't hit your punching bag with this...you will destroy your bag...lol!"